The GF2E's square design expands the firing space provided by traditional cylindrical glass kilns. The model has an element in the lid of the kiln to provide radiant heat needed when fusing temperature is reached and elements in the kiln walls for conductive heat. Elements in the firing chamber are used to evenly heat the glass piece and the lid element is used when fusing temperature is reached. Models have a maximum temperature range of 1700°F to protect the optional quartz glass viewing window but can be reprogrammed to fire to higher temperatures. 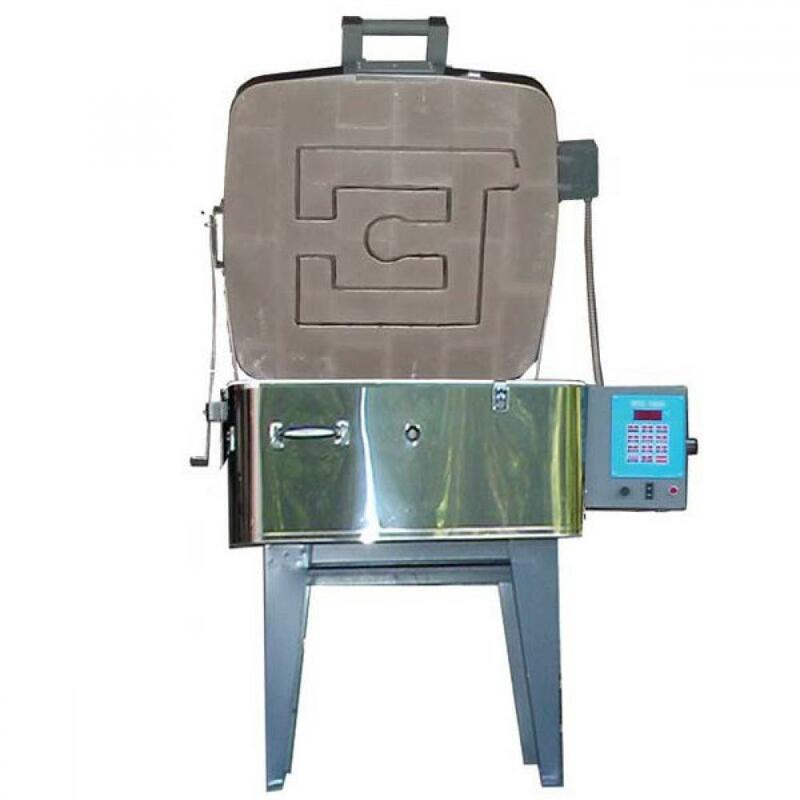 Top loading Glass fusing kilns come in cylindrical and square styles and have the option of top loading, clamshell loading or top and clamshell loading. Glass kiln models 20” wide or larger are equipped with a lid lift assist for easy opening and closing of the kiln lid; however, smaller width kilns have the option of adding a lid lift if needed. 240-208 volt glass fusing kilns come equipped with pilot light, come with a tall 18” metal stand or frame, stainless steel jacket, and Bartlett 3 Key electronic controller. Controller data is entered by scrolling through the up and down arrows for the desired temperature for ramp/hold programming. Included in the kiln package are peephole plugs, instruction manuals, warranty card. Two-year Kiln Limited Warranty. Additional options include upgrading to the 12 key digital RTC-1000 controller for more ramp-hold user programs and multiple features including delay start, preheat, skip step and many more for precise firings every time. Messages and information are available for reviewing a firing profile before or during the firing, and for viewing the current segment the firing is in. Other options include lid lift assist for models 18” wide or smaller, Type S thermocouple, flash arm, quartz glass viewing windows, lid elements in quartz rods, venting, and more! Furniture Kits for 240-208 volt Glass Fusing kilns provide 2 layers of shelving for stacking ware, assorted small square posts, 1” x 1”, for models 18” wide or smaller and large square posts, 1 ½” x 1 ½”, for kilns 20” wide or larger, ceramic paper, and a one pound bag of kiln wash. Choose the standard furniture kit for the selected model or build your own with shelves and posts in the quantities required.